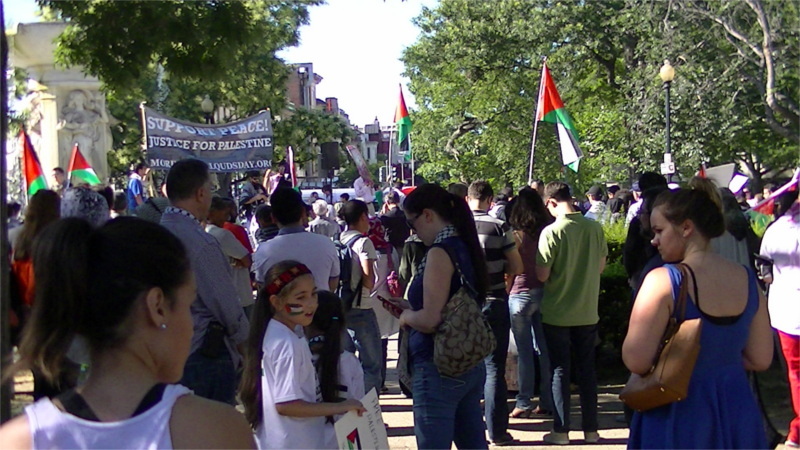 On the 25th of July, hundreds of supporters of the besieged people of Gaza, maybe more, gathered in Dupont Circle for al-Quds day, which is the last day of Ramadan. 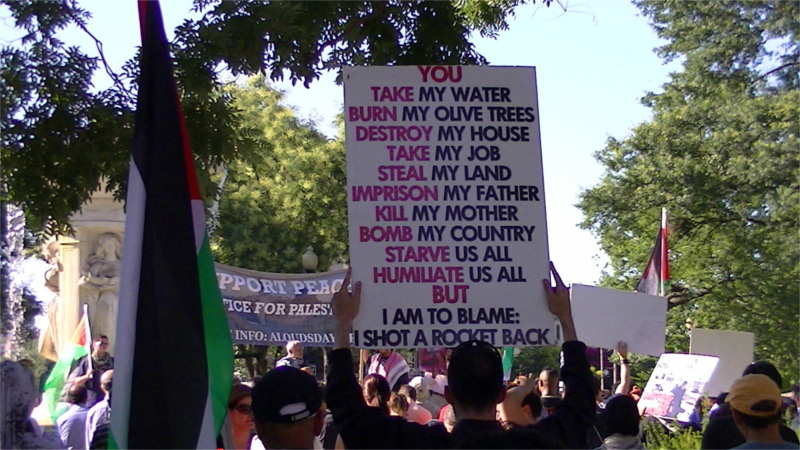 DC was just one of many hundreds of events all over the world. In New York, IDB Bank received a die-in and was hit with red syrup symbolic of their investments in Israel and their murderous army. There were over 160 rallies in Pakistan alone. "Protests, rallies, and clashes" were reported in Kashmir.